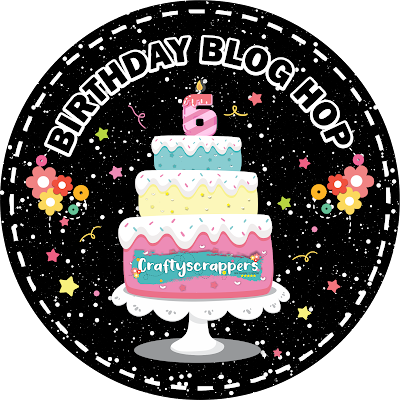 This month we are celebrating 6th birthday of our town and we like to invite you to visit my crafty museum. Every year, we have crafty tourists visiting our town and joining us in celebration. 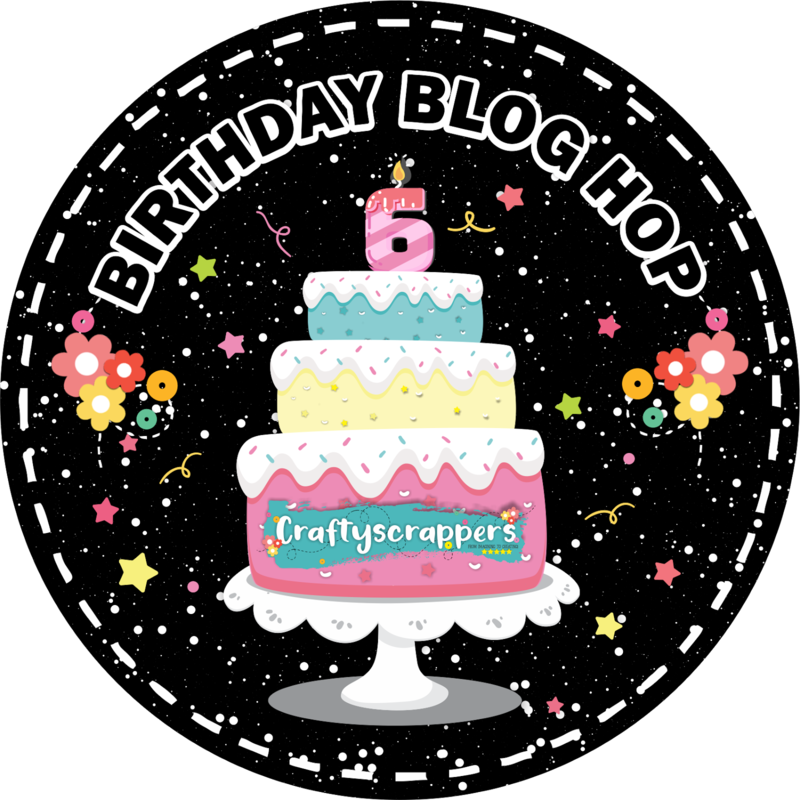 For this post, I have made a birthday card using one of Zodiac stamps. 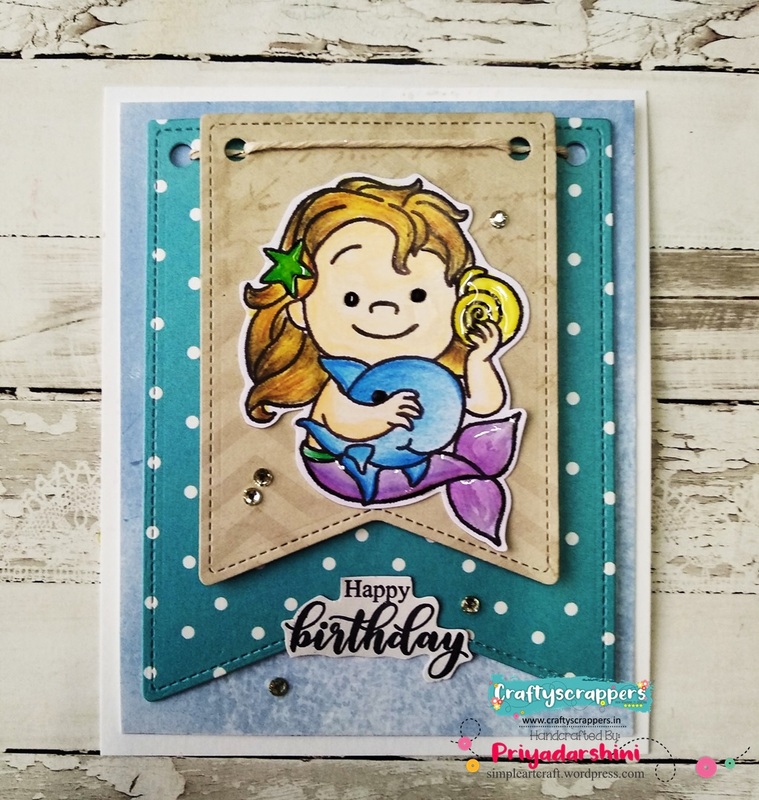 This is an amazing stamp set and is a must have in your stash. Here I used Pisces stamp and used banner dies from Lawn fawn. I kept the card clean and simple as always. This stamp series works perfect for birthday cards and baby cards. It is available as individual stamps with two size options. 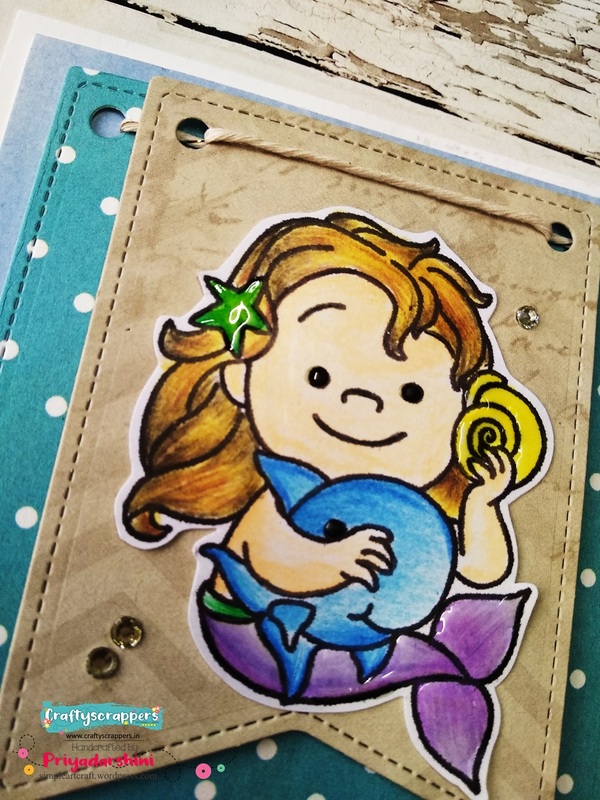 I have added glossy accents to the shell, star and the fins. This gives some dimension and looks pretty. 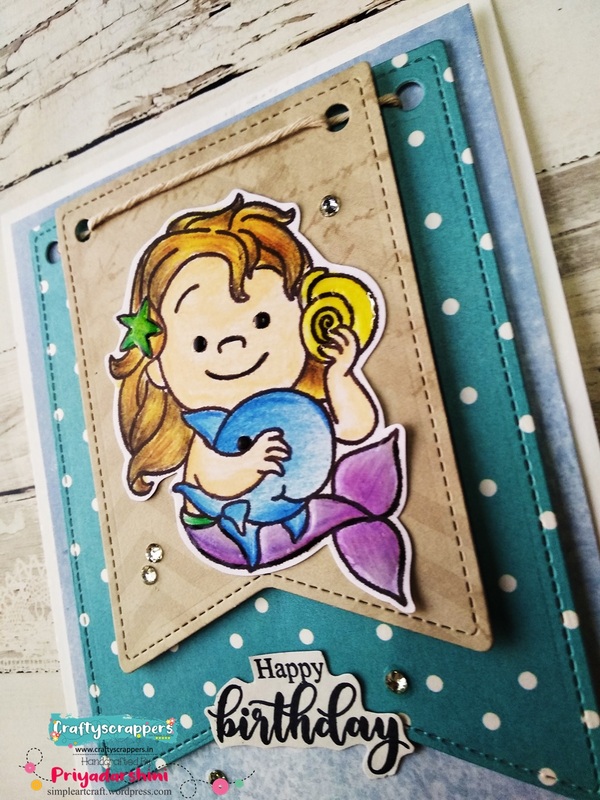 I added some gemstones as embellishments for the card. Thank you for visiting my place. Hop on and get off at the next stop SABIHA KHAN and enjoy marvellous master piece created for you. Lovely card, adorable stamp. Great coloring as always. Just loved the cute zodiac stamp and its coloring. You have placed everything so well. Beautiful creation, love the image and design!